Note: Before you try to deploy file search office documents preview, make sure other parts of your seafile cluster are already working, e.g upload/download files in a web browser. Make sure memcached is configured as described in "Deploy in a cluster". 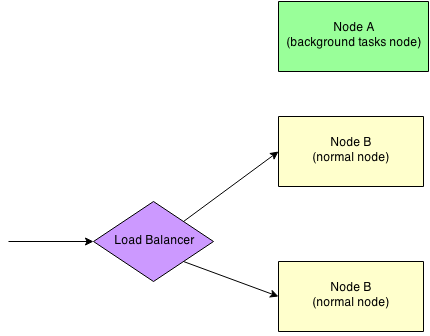 Let&apos;s assume you have three nodes in your cluster: A, B, and C.
Node A is backend node that run background tasks. Node B and C are frontend nodes that serving requests from clients. In your firewall rules for node A, you should open the port 9200 (for search requests). For versions older than 6.1, es_port was 9500. As a simple test, you can use this command to test if you set it up correctly. It should say "400 Bad Request" when you have Nginx config updated. Here is the summary of configurations at the background node that related to clustering setup. ## Previewing a large file (for example >30M) online is likely going to freeze the browser.